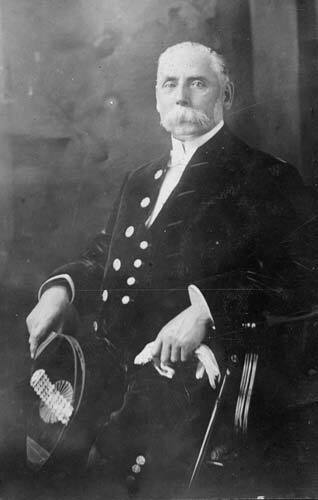 Arthur Nicholson was born in Leek on July 15th 1842. He was the son of Joshua Nicholson a local mill owner who moved to Leek from Yorkshire and set up his business empire here. His father Joshua is best known in Leek for the building of the Nicholson Institute (Leek Library) and which is now one of only three such buildings in the country still used for it’s original bequethed purposes. He was educated at Leek Grammar School along with his elder brother Joshua Oldfield Nicholson, before joining the firm, ‘Brough, Nicholson & Co’. His youngest brother Harry died at the age of 22 in 1866 following a railway accident 3 years earlier. Joshua Oldfield later moved to Macclesfield and set up business there, but maintained his contacts with Leek. 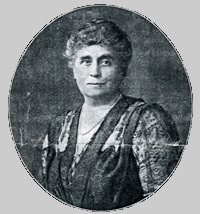 At the age of 40, on 20th September 1882 Arthur married Marianne Falkner of Manchester and together they had four children – Arthur Falkner, Malcolm, Basil Lee and Christine. The following year he became a magistrate, and in 1889 was elected to Staffordshire County Council. He served as the High Sheriff of Staffordshire in 1916, to be later followed as High Sheriff in 1924 by his son Lt Col A Falkner Nicholson. Amongst many local offices he held he was also a governor at the Westwood High School for Girls when it opened in 1920. In 1909 Arthur Nicholson was knighted in the King’s Birthday Honours List for services to industry and public life. 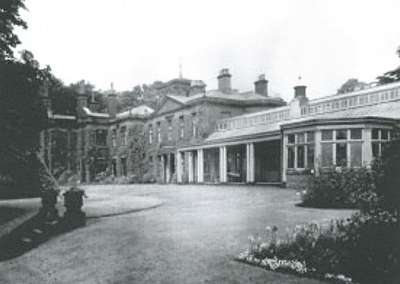 The Nicholsons moved to Highfield Hall in 1885, where they entertained King George and Queen Mary in 1913, when the Royal couple visited Leek. The King shared Sir Arthur’s love of Shirehorses which Sir Arthur bred at the Highfield Stud. Sir Arthur Nicholson died in Bournemouth (where he was spending time in a milder climate) on 9th February 1929 at the age of 86. Sir Arthur’s funeral. 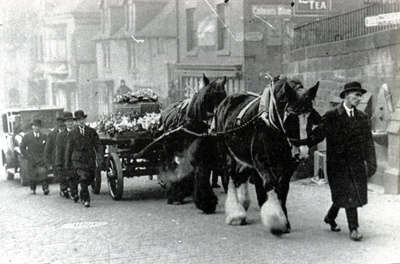 Pulled by his beloved Shire Horses for one last journey. If anyone has any information about the Nicholson children and their families we would love to hear from you so do please contact us. Arthur Falkner (known as Falkner) was the eldest of the children and served with the Old Leek Battery during WW1 along with his younger brother Basil Lee. After the war he became prominent in local affairs and business and rose to the rank of Lieutenant Colonel in the Territorial Army and eventually commanded the Leek Battery. He served as High Sheriff of Staffordshire in 1924, and presided at the opening ceremony of the Memorial in 1925. We believe Falkner may have had a son, Clive, but our knowledge about this vague. Malcolm was the middle brother and was a lawyer by profession, being called to the bar in 1913. During WW1 he served with the 2nd North Midland Brigade and then later transferred to the Flying Corps. Like Falkner he also rose to the rank of Lieutenant Colonel and received the OBE for his war services. After the war he married into a wealthy Birmingham family and had three sons Basil Royston, Alastair Malcolm and Arthur Derek Nicholson. Basil also followed his father into the military, winning the Military Cross with the Queesn Dragoon Guards in North Africa in WW2. 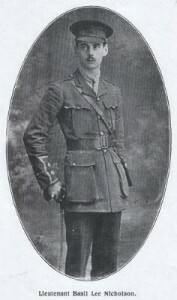 Arthur Derek Nicholson married Ann and they had two daughters Ann Fiona Nicholson and Caroline Nicholson. They were raised in North Staffordshire before emigrating to Malta in the late 1960’s. Basil Lee was the youngest brother and his death is the primary reason we have the memorial. Christine was the youngest of the Nicholson siblings and had a son Martin and daughter Elizabeth (“Mimi”). Her daughter Elizabeth married Ronald Taylor and they have three sons Nicholas, Martin and Simon and live in Hampshire. 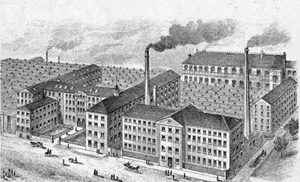 Below the factories of Brough, Nicholson & Co can be seen in an ink drawing. The factories occupied the area between Ashbourne Road and Fountain Street below Portland Street. This area is now mainly covered by the Police Station / Health Centre and Staffs County Council Offices. A few of the buildings still remain although they are mainly disused and these can be seen in Ashbourne Road and Cross Street. The image below is of Sir Arthur Nicholson at the funeral of one of the fallen of the first world war. It appears to be taken on Heywood Street with the Sanders Buildings in the background. Who the soldier was we cannot be sure, but we know it was not his son Basil as he is buried in Belgium. 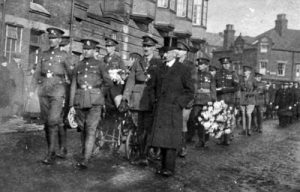 Our best guess though would be the funeral of the highest ranking soldier buried in Leek Cemetery and who also worked for Sir Arthur in his factory before the war, that of Company Sergeant-Major David Pickford of the Sherwood Foresters. David was 31 when he died of wounds received on the Somme in October 1916 and had received the Distinguished Conduct Medal for his devotion to duty and good work. He was married with a small child. 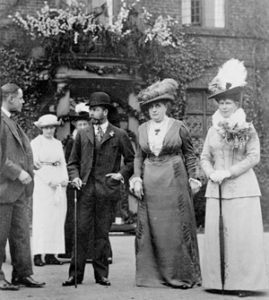 Below is the visit of King George V and Queen Mary (the present Queen’s grandparents) in 1913. 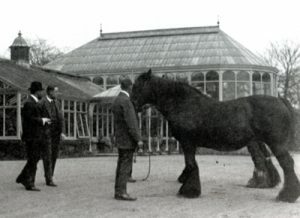 The King shared Sir Arthur’s passion for Shirehorses. On the left is Falkner Nicholson talking to the King (second left). Falkner Nicholson presided over the opening ceremony of the memorial twelve years later. To the right of the King in the picture is Lady Nicholson in the dark dress and on the far right of the picture is Queen Mary. The party are standing outside Highfield Hall. 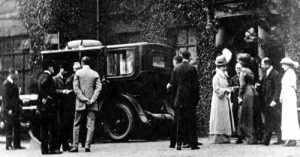 The hall was purchased after the death of Sir Arthur by another local mill owner, Mr Tatton, who never lived in it. It was demolished by him due to the hall suffering from dry rot. Where the party are standing is now the car park of Leek Cricket Club, whose ground was at Highfield throughout Sir Arthur’s time at there.